Here is a beautifully repaired race bike that could take first place as a show bike. This bike is adorned with many unique and rare parts making this R1 a one of a kind ride. The modifications of this bike are as follows. 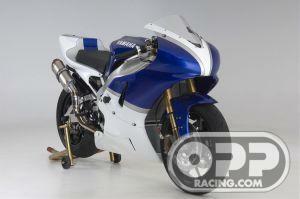 With a mod list like this an killer looks this 2001 Yamaha R1 will dominate the track and the show room.